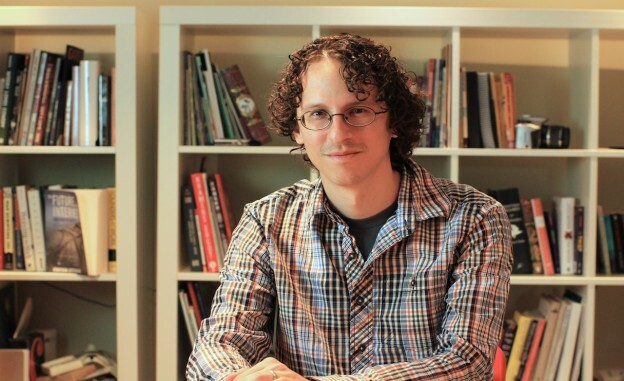 Photo of Andy Baio by Gabriel Shalom and used here with Creative Commons. Creative geek Andy Baio had a hellish experience with copyright and fair use when he made “Kind of Bloop,” a weird and wonderful electronic cover of Miles Davis’ “Kind of Blue.” It’s maddening to hear his story, told in a compelling video, of acceding to astonishing payments in an out-of-court settlement. But he’s drawing the wrong lessons from it. In “Reclaiming Fair Use,” Peter Jaszi and I cautioned against using anecdotes from unusual situations to guide behavior in far more routine decisions about free expression. We think this is a case in point. Remix culture is on a lot firmer legal ground than Baio’s horrendous experience leads him to say. "What happened to Andy Baio is creepy. But Andy inadvertently is making things even worse. The chilling effects of his talk could be considerable." Portland/CreativeMornings – Andy Baio from CreativeMornings/Portland on Vimeo. In his fascinating video presentation, Baio explains how he made “Kind of Bloop.” He properly licensed the music, which he was, he knew, not using under fair use. And he paid a bunch of crowdfunding investors in CDs. But he didn’t think about licensing the cover art from the original album, which he had used to commission an 8-bit pixel-art work for his CD’s cover. The photographer (wealthy beyond imagining, of course) threatened him with a lawsuit. The Electronic Frontier Foundation offered, he explains, to defend him for free and thought he had a strong fair use case. But he decided against taking on the undeniable stress, related costs and unpredictable duration of a lawsuit to vindicate his rights. He decided to pay more than $32,000 to the photographer instead — but secured the atypical right to talk and write about the incident afterward. How did the settlement end up being so expensive? It’s partly because copyright infringement includes extra fines — “statutory damages” — that raise the potential cost of a court loss and therefore increase the price of settlements. High statutory damages are, in our opinion, a blight upon copyright law. They raise costs and create a chilling effect. What happened to Baio is creepy. But he’s inadvertently making things even worse. He generalizes dangerously from his experience, and spreads wild and false charges in the last part of his presentation. The chilling effects of his talk could be considerable. He claims, astonishingly, that “fair use is not a law.” Uh, it’s section 107 of the Copyright Act. Like other parts of the law that protect free expression, it is applied by courts case by case; you exercise it in context, and courts take that context into account. That doesn’t make it “not a law,” nor does it make it impossible to apply. Creative people make judgments all the time about whether our works are obscene, libelous or treasonous, for example; there are no bright lines there, either, but we act with confidence, knowing the law is on our side. ‘Reclaiming Fair Use’ is written by the author Patricia Aufderheide, director of the Center for Social Media, and Peter Jaszi, professor of Law in the Washington College of Law at American University. Baio warns ominously that “anyone can sue you for anything, always, and even without grounds.” Yup. That is true, and just as true for obscenity, libel, or treason charges, and in a million other places in life. If someone slips on the sidewalk in front of your house after a snowstorm, or chokes on an appetizer at your dinner party, or objects to your choice of lawn furniture, they can sue you. Copyright trolls like Prenda are suing people who have done nothing at all. But we somehow conduct our lives and even have dinner parties knowing this ugly reality. Baio warns fellow remixers everywhere that “fair use will not save you,” and “nothing you have ever made is fair use.” Whoa. Neither of these statements is true. Fair use is riding high in the courts. The fair uses of “Jersey Boys,” who used clips from “The Ed Sullivan Show,” were forcefully vindicated just a few weeks ago, and the litigious rightsholders were ordered to pay the defendants’ costs and fees. Georgia State University successfully defended a copyright lawsuit brought by greedy publishers, and got a court order for the publishers to pay over $3 million in attorneys’ fees and costs. Fair use even saved Luther Campbell, aka Luke Skywalker from 2Live Crew, when the Supreme Court held that Campbell could sample all of Roy Orbison’s “Oh, Pretty Woman” for use in a parody song. But mostly fair use just gets used without a darn thing happening. Virtually everything you have ever made — including Baio’s own video presentation (check out the “Harlem Shake” clips!) — employs fair use. 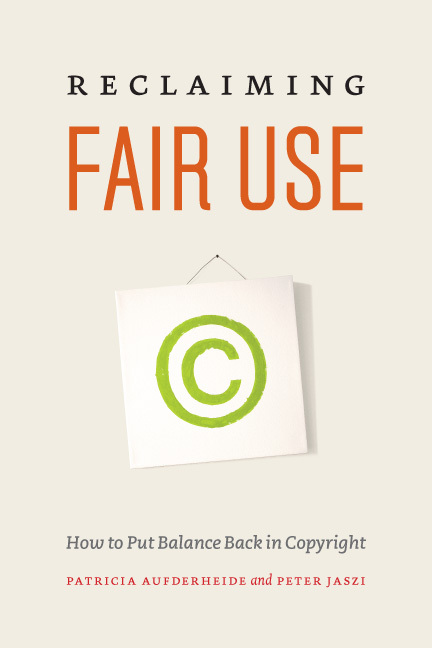 Fair use is practiced so routinely that it’s a nearly invisible part of our daily life. Every front-page newspaper article; every student paper with a footnote in it; every newscast is laced with fair use, and nobody is suing for the millions of fair uses every day of others’ copyrighted material. Fair use lawsuits in fact are extremely rare, and vanishingly rare in comparison with the ubiquitous practice of fair use. Even cease-and-desist letters are extraordinarily rare. Like us, Baio loves remix culture. He says it: “I love remix culture.” And like us, he is concerned about its future in a litigious era in which copyright ownership is massively extensive. But unlike him, we don’t think remixers generally are “lawbreakers.” We think fan fiction, remix video, supercuts, memes of all kinds and more are typically vigorous examples of fair use in action. And by and large, they go unchallenged. Have we “criminalized creativity,” as Baio says? Well, that’s the danger. Copyright law that so heavily weighs in favor of people who’ve already made stuff doesn’t encourage the making of new stuff nearly enough. The ridiculously high statutory damages in copyright do have that effect. But it is really possible to make it much, much worse—all by ourselves. We think that the worst threat of chilling creativity comes from the self-censorship that alarmist rhetoric unfortunately encourages. Remixers employ fair use every day. They shouldn’t think of themselves as criminals. After all, they are using a part of the law that judges are enthusiastic about and that the Supreme Court has twice in the last decade singled out as the protector of free expression within copyright. Baio points out that remixers regularly say silly things about copyright law, like haplessly labeling their work, “No Copyright Intended.” We agree. It’s dangerous not to know the law. Rather than making up incantations or running scared of the worst-case scenario, remixers should know the law, know their rights, and assert their rights. Like all rights, fair use gets stronger when it’s practiced. Journalists created a Set of Principles in Fair Use for Journalism, which lets them work in a digital and social media environment much more efficiently. DIY culture mavens got together to create a Code of Best Practices in Fair Use in Online Video to establish principles of fair use, for instance. Poets did the same, and publishers have been able to use their judgments to publish work more efficiently (such as University of Chicago Press did with the book “Unoriginal Genius”). Librarians established their best practices in fair use, and immediately used it to put up online exhibits and to make usable copies of obsolescing videotapes languishing in their archives. Life has risks, and as you do riskier work, life gets riskier. But some risks are low, worthwhile, and really easy to assess, especially when you know what creative communities of practice typically do about it. Remixers can sample and share the fair use experience of creators in a wide variety of fields, as they make their own choices. Andy, keep on doing your amazing creative work. Keep employing fair use, the way you did in your video. And encourage your many friends in remix culture to do the same. The “Kind of Bloop“ experience was grisly. But it wasn’t typical. This post originally appeared on the the site for the Center for Social Media, School of Communication, American University. Patricia Aufderheide is University Professor and Director of the Center for Social Media, School of Communication, American University, and co-author with PeterJaszi of “Reclaiming Fair Use: How to Put Balance Back in Copyright” (University of Chicago Press, $12). You can give feedback at [email protected].